Why do people get bad tattoos? If your answer is simply “because some people are dumb,” there will be many who do not agree with you. There are very smart people who have bad tattoos, so we know it doesn’t just come down to lack of intelligence. In a moment, we will break down the reasons people get bad tattoos, but first, we want you to know that if you suffer a bad tattoo, there is a fix, a reason for a sigh of relief. 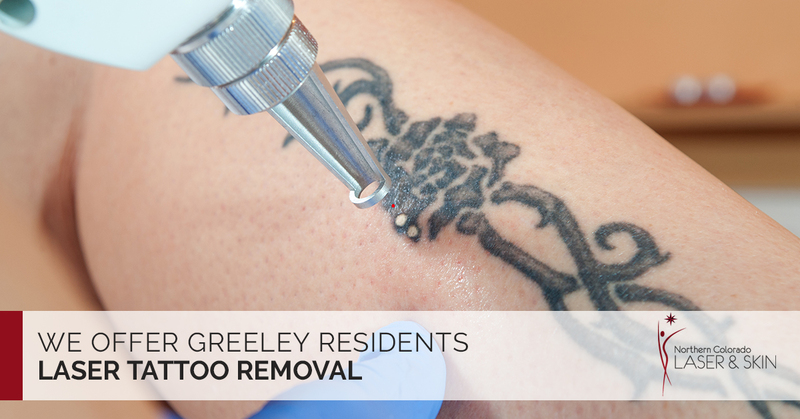 You will be happy to know that we offer Greeley residents laser tattoo removal, so hit us up if you want to learn more. Just as there are people who are sub par at whatever they do, be it a dentist, auto mechanic or CEO of a major corporation, there are also bad tattoo artists. That said, there are also a lot of really good tattoo artists who, from time to time, produce work that can be considered bad. Consider this: even the top hitter in Major League Baseball will strike out sometimes. You may have been inspired at some point in your life to get a tattoo. But what inspired you 20 years ago now just seems like an idiotic phase you went through. Sure, that skull and crossbones tattoo was cool when you were 18, but at 38, it is a total embarrassment. In the end, it really doesn’t matter why you want your tattoo removed, you just want it to be gone. And thankfully there is a way this can happen, it starts with a phone call.